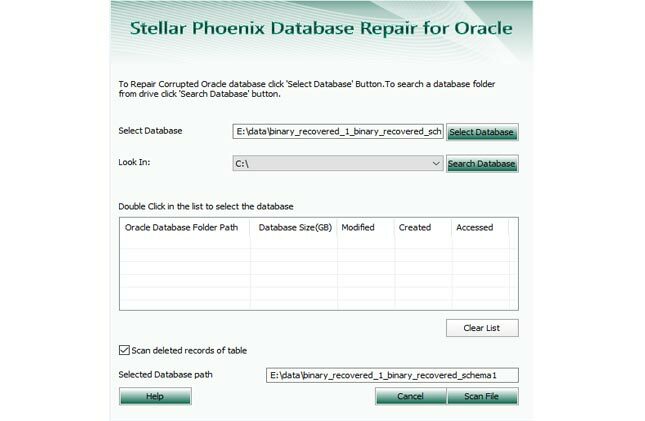 Step 1:- This is the main interface of Stellar Phoenix Database for Oracle. Click on the 'Select Database' button to select the corrupt database or use 'Search Database' to search the database from system. Step 2:- After selecting the corrupt database file, click on the 'Scan File' button to initiate the scanning process. 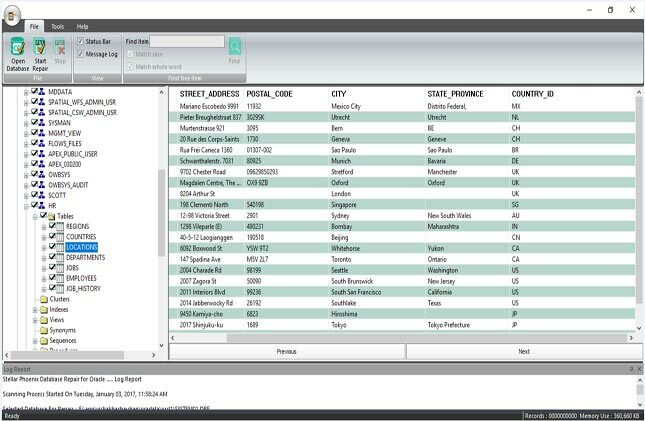 Step 3:- Preview of your selected database will be present on the left pane after completion of the scanning process. 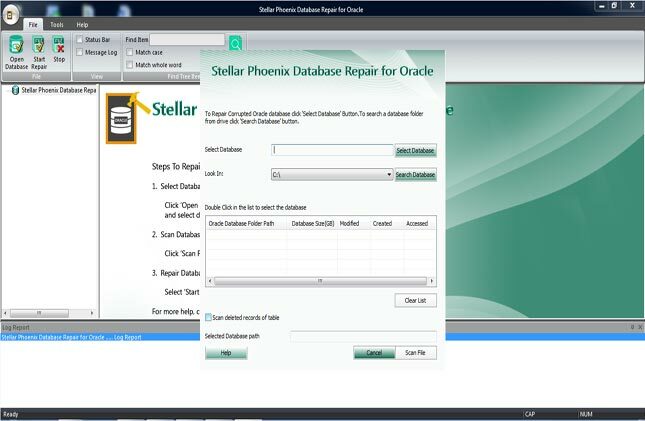 Click on the 'Start Repair' button to start repairing process. 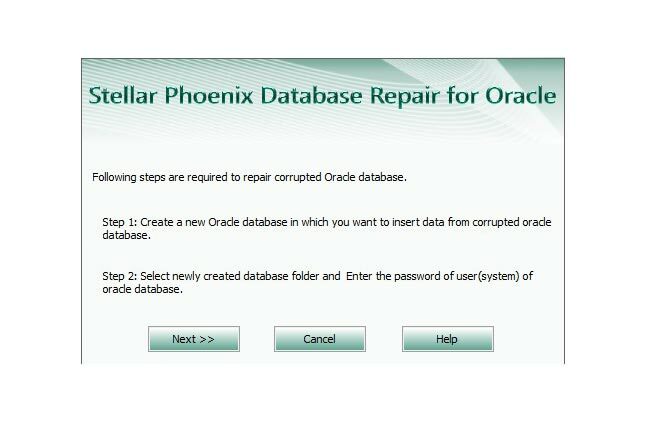 Step 4:- To save the repaired database, you need to create a blank database and provide it's location to save the data of corrupt file into newly created database. 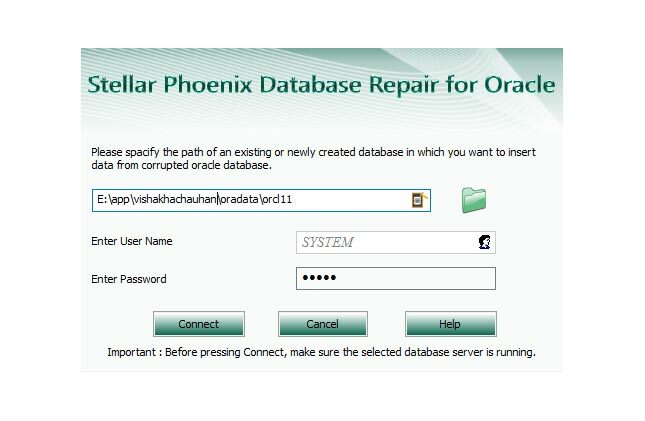 Step 5:- Specify the database location, username and password to initiate the saving process of repaired database.